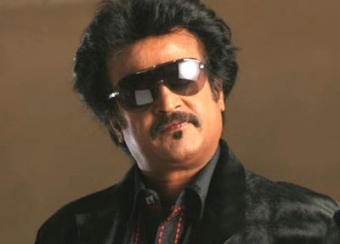 Rajinikanth : Bal Thackeray Is Like God To Me! Superstar Rajinikanth who met Bal Thackeray in Bombay today said that the Shiv Sena chief is "like God" to him. The 60-year-old actor drove to Thackeray's residence at 'Matoshree' in suburban Bandra and sought the Sena chief's blessings. After meeting Thackeray, Rajinikanth compared the Sena chief to God. "He is like God to me," the actor said. Rajini, who was born to Maharashtrian parents, also expressed his desire to act in Marathi films. His latest film 'Endhiran' (Robot), where he is paired opposite Aishwarya Rai Bachchan, is a box-office hit. The actor arranged a special screening of the film for Bollywood friends here last night.